The Evil Within 2 is a solid sequel that surpasses the original in just about every way. Leave a Comment on The Evil Within 2 is a solid sequel that surpasses the original in just about every way. The Evil Within 2 is a fantastic sequel to the flawed and criminally overlooked original. Where its predecessor failed, namely in pacing and frustrating sequences, this new game manages to excel, delivering one of the most entertaining action horror experiences in quite a while. It picks up a few years after the events of the first The Evil Within, with protagonist Sebastian Castellanos attempting to find the answers for his troubled existence in the bottom of a beer bottle. Having survived the insanity of the Beacon incident, he hasn’t made peace with the death of his daughter Lily, something that’s conspicuously omitted from the original game. His old partner Kidman suddenly enters the picture, using Lily as bait to get Sebastian to once again dive into the world of STEM. STEM is a virtual world that’s created within a network of interlinked minds, an experiment that’s been proved to be a source of nightmares if the events of the first game are any indication — but a shadowy organization named Mobius is keen on keeping it going, like any evil corporation would do. 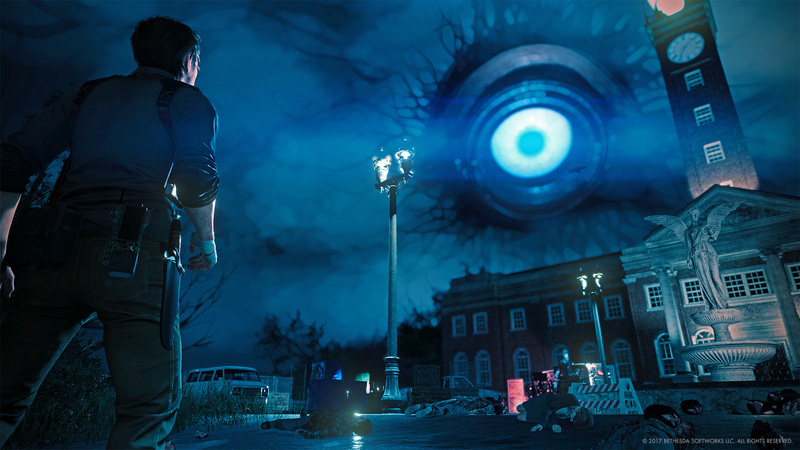 In The Evil Within 2’s case, STEM is home to the seemingly sleepy town of Union, a condensed open world environment in which the game takes place in. Castellanos is pretty much free to explore it, and that’s how most of the world and character building happens to occur. Exploring is also a source of procuring much needed supplies and ammunition, which are otherwise extremely scarce. For the first six or so hours of The Evil Within 2, Union serves as an extremely effective setting for a tense horror game, with lots of scares and opportunities to get Sebastian’s face punched in if you’re not careful. Taking down the Lost, The Evil Within’s version of zombies, is your sole means of leveling up a variety of stats that help turn the odds to your favor. So much so that if you do a good job at checking the world out and finding lots of items, the later parts of the game become a lot more manageable. 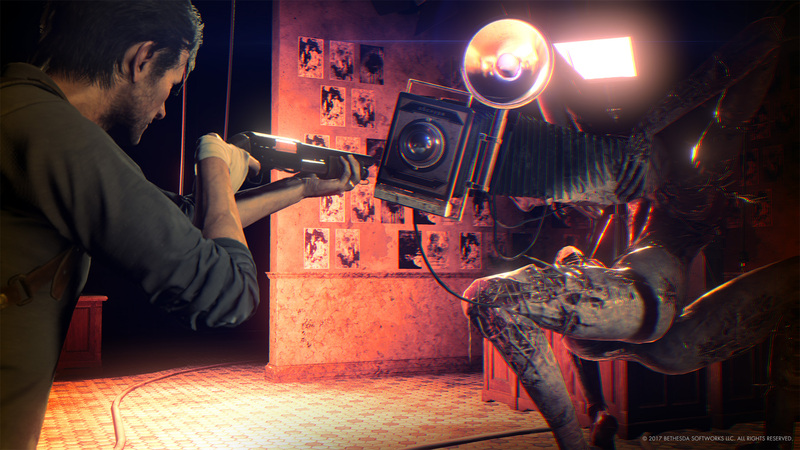 That’s not to say those are any less difficult — it’s just that The Evil Within 2 ramps up in a pace that demands that you learn the ins and outs of both its combat and stealth mechanics, especially at the hardest difficulty setting, where enemies are more plentiful and much more menacing. While the game recommends that you start off at that setting from the get go if you enjoyed the challenge of the original game, I had a pretty challenging time playing through the game at the middle difficulty, clocking in at around nineteen hours. At around half way through that, The Evil Within 2 becomes slightly more linear, but doesn’t completely close you off from being able to choose how to approach encounters. The linearity of this sequel, unlike the first game, serves to deliver some of the best story moments without locking you into a series of unrelated segments without any connection whatsoever. Union, even though it’s slowly twisted and broken off into pieces when Castellanos first steps onto it — in a fashion akin to Silent Hills’ twisting of roads that block off your path — it’s through the somewhat complex network of tunnels called the Marrow where most of the linearity presents itself, as you make your way to different sections of the town. Upgrading weapons becomes paramount early on and continues to be so all throughout the game, with the pistol taking the lead as one of the most versatile out of Castellanos’ arsenal, but I have to admit I was surprised at just how much fun I had using his crossbow, which makes a comeback from the original game. It allows you to directly attack enemies if you shoot bolts into them, but the added benefit is arming traps by shooting into walls and the ground. Special ammo like the smoke bolts when properly upgraded become incredibly useful and powerful, so much so that came into play when I had to face a particularly strong type of foe that pops up at the latter third of the game. There are also different types of guns for the other base weapons, and they vary in usefulness and capabilities, like a laser-sighted or a silenced pistol that can be switched on the fly during encounters, thankfully carrying over upgrades regardless of which you choose to put to use. Putting points, or in The Evil Within 2’s case, green gel, into Sebastian’s skills also helps keep things fresh and pump up your playstyle. Say, you’re much more into stealth than anything else, giving points into that tree will make Castellanos’ steps even more silent, or even unlock ambush skills that are incredibly useful. Thing is, there’s just so much green gel all around the game that you’ll probably max out a few of those skill trees before you’re done, and even if you don’t, you’ll be able to pick up where you left off by starting new game+ after beating the game for the first time. But perhaps the best part of The Evil Within 2 is the way it manages to repurpose the convoluted story of the original and with it, make its own a natural extension of the established canon. Sure, it’s not incredibly deep nor particularly original, but what Tango Gameworks has managed to do is impressive, with nods that the faithful few that happened to be particularly into the original game — like me — are sure to appreciate. While not especially unique, The Evil Within 2 manages the feat of upping just about every aspect that fell flat in the first The Evil Within. The open world comprised by Union and the Marrow isn’t huge, but it’s big enough to make exploring a terrifying delight, thanks to the rewards for doing so in the form of extra bits of story and leveling upgrades. I can’t say enough nice things about the surprise that it was to jump into and enjoy The Evil Within 2 so much, but here we are: it’s one of the top horror game I’ve played in quite a while.